In the first blog posting in this series I provided the “helicopter-view” of the year’s releases, which is probably the place to look if you want a quick overview. The rest of this series consists of more details analysis of 2018 releases. So far, this review has described products which have made their ways into customers’ hands in some form or other. Another interesting thing to look at is the products that are still in the process of breaking through into our reality … namely, the Kickstarters that are yet to be fulfilled. Some of these are older campaigns that were supposed to have completed in 2018 (or even earlier); others are campaigns run in 2018 for products that won’t grace the gaming table until 2019 or later. This review has aimed to shine an Elder Sign into the numerous different corners of the tabletop gaming world to unearth the 2018 releases which have some stated connection to Lovecraft’s vision or creations. There are – it seems – quite a lot of these. But after looking at all of these individual products and Kickstarters, are there any clear themes or observations to be drawn? I will give a few of my own thoughts, but equally I would be happy to hear what others can discern (use the comments section at the end of this post). The (Lovecraftian RPG) world is an amazing, diverse place: It’s easy when reading through online forums and communities about Lovecraftian RPGs to conclude that most of what has been published comes from a handful of campaigns or scenario anthologies or companies. There are definite “old favourites” that attract a lot of attention, sometimes disproportionately so. 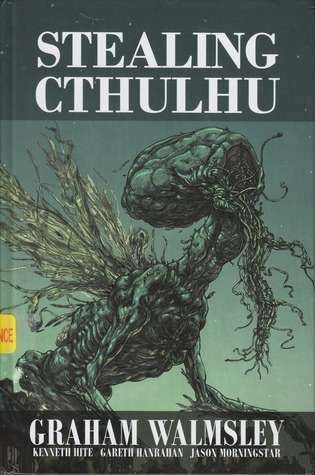 But each time I undertake the research for one of these retrospective articles I am reminded that the world of Lovecraft-influenced RPGs is much, much, larger than those small set of Cthulhu’s “greatest hits.” That is, I would contend, a good thing – because any time you tire of any one specific author’s or publisher’s interpretation of HPL’s ideas, there is always a host of *other* variant RPG interpretations you can read for inspiration. This is especially true if you’re willing to take scenarios/campaigns from different game systems (which may not to your liking) and repurpose them. While some people shy away from ripping and remixing content like that, I would strongly encourage GMs everywhere to consider giving it a try. Because most Lovecraftian investigative scenarios comprise about 75%+ non-mechanical content (plot, character motivation etc.) the task of adapting is much less than for other genres where mechanics are everything. Licensed releases by larger established companies are down: If you look back just a handful of years, there were a half-dozen or more largish established game companies producing Chaosium licensed material in English. Over the past couple of years that number has dropped off rapidly, until in 2018 the only publisher fitting that bill who produced any licensed content at all was Pelgrane Press (a couple of Trail of Cthulhu titles). While this may be just a temporary anomaly, the messaging from those companies that had historically been big producers of licensed content makes one wonder whether they are deprioritizing licensed content in favour of other types of non-licensed Lovecraftian material. The most recent such announcement is by Modiphius who will be creating its future Achtung! Cthulhu content primarily for its in-house 2d20 system with only a modest commitment to BRP. Mid-sized licensees are sticking to their successful formulae: Licensees like Stygian Fox, Golden Goblin Press, and Sentinel Hill Press have continued to be active, and have charted a course which builds on past successes. For the most part all of them have built substantial followings of Kickstarter backers, with each successive campaign building in terms of numbers and overall funds raised. This is a healthy position for these companies, although all of the three publishers mentioned above have struck difficulties with Kickstarter delays and managing the expectations of their backers (and indeed Golden Goblin appears to have slowed its tempo of Kickstarters in order to “catch up” on older commitments; while Stygian Fox conversely has ramped up its frequency of campaigns). Chaosium is striking a difficult balance between customers old and new: While it’s true that the new management at Chaosium assumed the reins of the company back in 2015, it’s probably fair to say that during the first couple of years of their operation they weren’t setting the direction for the CoC line. They inherited an off-the-rails Kickstarter (for 7th Edition CoC) which needed to be closely managed, and then they had a pipeline of previously approved projects to work through. It’s only been in the last year or so that the new management would have been in a position to set the agenda for how *they* want Call of Cthulhu to be. So … what does that look like? Well, if you draw inference from 2018’s releases – and even those from late 2017 – you might conclude that the new Chaosium are very actively pursuing brand-new CoC players. Certainly, the CoC Starter Kit is a product aimed at such gamers; but arguably so too is Pulp Cthulhu, Doors To Darkness, and even the new edition of Masks (since most existing players already own at least one edition whose content is not far different from the expensive new brick). Doubtless the goal of attracting new players to CoC has some sound basis in business – indeed, it seems part of a broader Chaosium agenda to “get big”. But the pursuit of such a goal has its perils, too, the greatest one being the need to also keep the existing customer-base satisfied. After all, there is no point in attracting an army of new customers while losing your existing customer-base in the process. Success will require a deft balancing act to keep both camps appropriately supported. 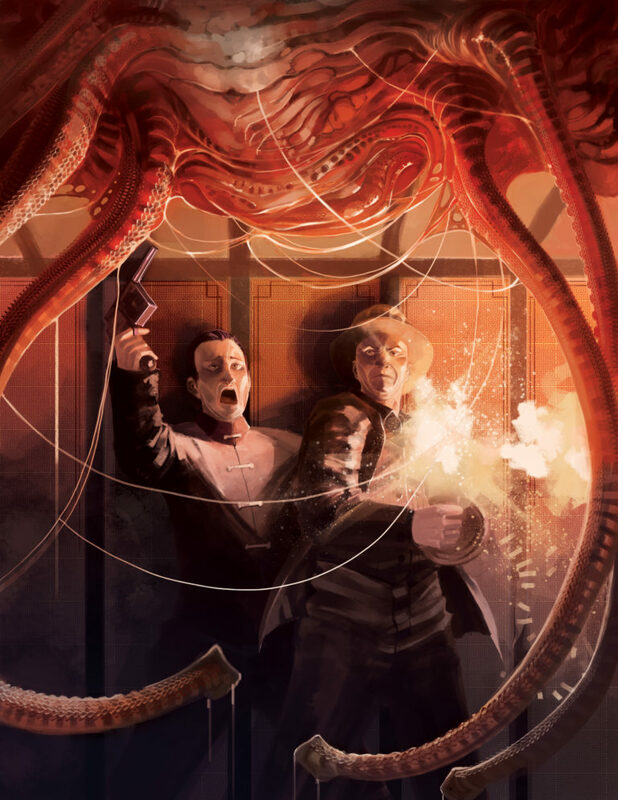 In the final analysis it’s fair to say that 2018 was another great year for Lovecraftian RPGs, providing further evidence that HPL’s influence is strong and insidiously clawing its way throughout the tabletop world. Here’s hoping that 2019 continues that wonderful, if horrifying, trend . . . This entry was posted on Friday, February 1st, 2019 at 12:09 pm	and posted in News & Updates. You can follow any responses to this entry through the RSS 2.0 feed. As a backer of many of these Kickstarters I am really looking forward to their fulfilment. Yes, me too … I think I am on-board with about half of the outstanding KS campaigns. Whoa. You killed it with these posts. I love long form text pieces about stuff to gnaw on!! Man so much Cthulhu out there.